In order to build a test case for the SwitchMatrix component, I first create new project called “SwitchMatrixTest”. Then I create a schematic with the component and a UART. Notice that I draw the “external components” of the switch matrix, but I can’t hook it up to the actual component because I never created the external terminals for the SwitchMatrix component (bad Alan). 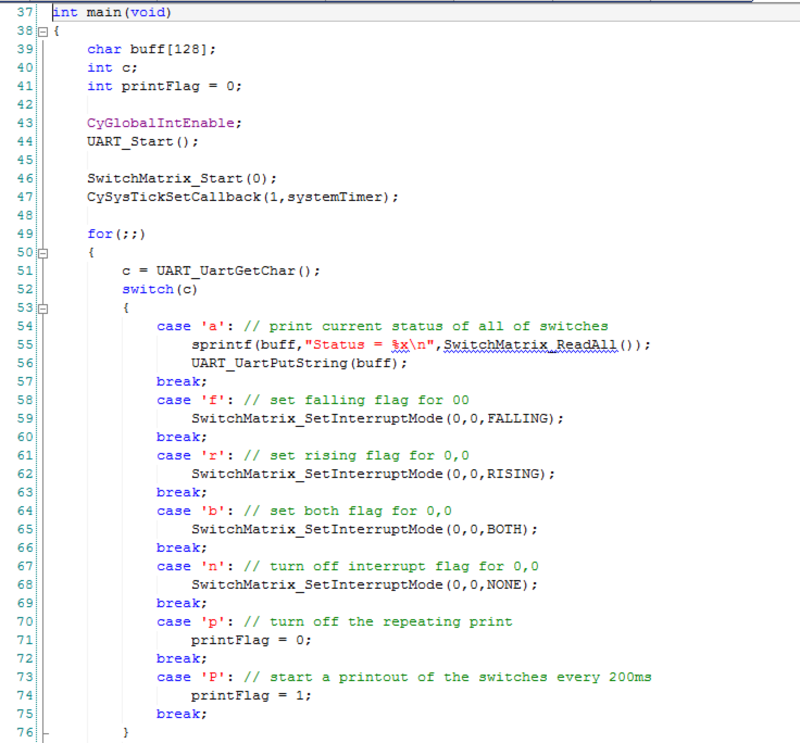 Next I edit the main.c First, lines 4-5 are to flags that are set by interrupt service routines. The switchedFlag is set by the component when you have registered your interested in a switch changing event. The sysTimeFlag is set every 200ms by the sysTick ISR. 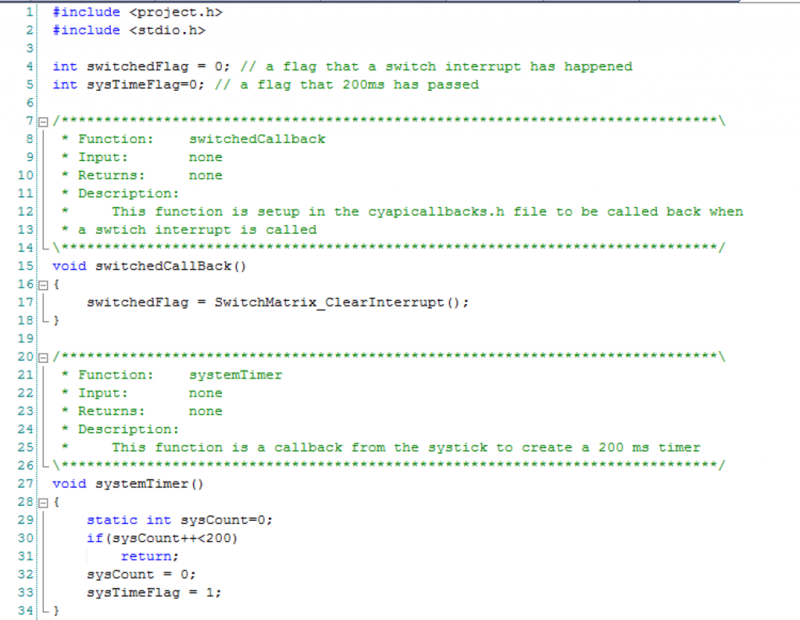 Lines 15-19 saves the status of the switch interrupt flags for use by the main loop. Line 27-34 is a simple timer that I implement using the SysTick timer. I set a flag every 200ms which I use to printout things on a regular basis in the main loop. In the main program I first start all of the components, interrupts etc in lines 43-47. On lines 52-75 I process the user input and try out different functions of the component. Lines 87-91 print out the status of the switches every 200ms based on the system timer. In order to get my SwitchMatrix component to call back when a rising/falling edge occurs, I need to register that call back in the cyapicallbacks.h. I first make a forward declaration of the function on line 15. Then I #define the “SwitchMatrix_SWITCHED_CALLBACK” which tells the component which function to call. In the next set of posts I will discuss the Music Player.